← Inspiration Thursdays: How Available is Your Curiosity? When I was a little girl, whenever we’d go to my Grandma’s house she’d always ask if we were hungry. Even when the answer was no she’d start pulling every ever-loving thing available out of her refrigerator. 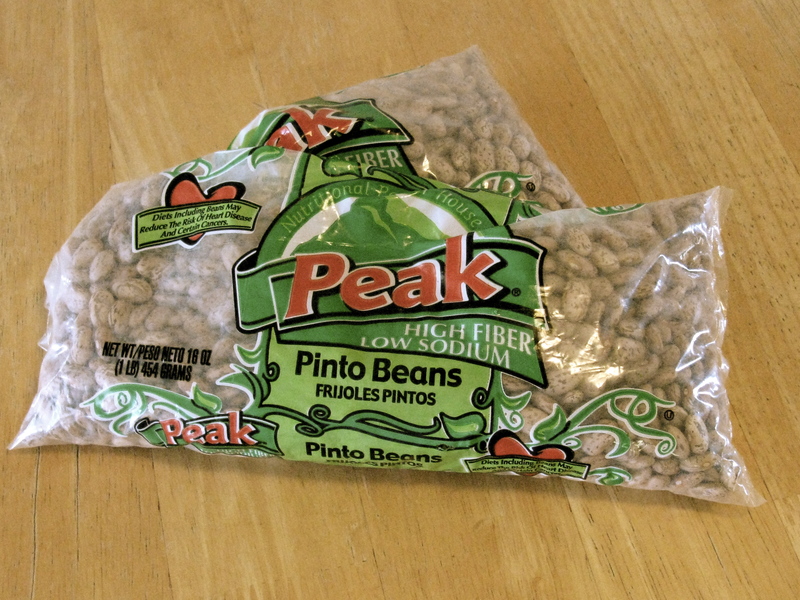 In the mass of items that always collected on her kitchen table, there was always beans. Always. My Grandma was the kind of woman who had never met a stranger. She’d talk to you in the grocery store line like you were an old friend and invite you to supper. And mean it. I’m sure most people thought she was just being nice. But I knew my Grandma and I knew that she meant it. That’s just who she was. She didn’t have much but she shared what she had with the world. She was the kind of woman who piled six grandkids into her old station wagon to take them roller skating and she’d stay up late making popcorn with me in a real pan over the stove, old-fashioned style. She’d chase us with the greenest peach tree switch or smack at us with a wooden spoon when we misbehaved (though it rarely hurt) and she managed to often have a mischievous glint in her eye, with one cocked eyebrow and a slightly crooked smile. She declared that every one of her grandchildren must be hers because we all loved her biscuits and gravy. I adored my Grandma. She was something, that’s for sure. And some of my fondest memories of her involve her big ol’ pot of beans. When I met my husband I was in for quite a surprise. His mom made beans too! We were both from California-so an Okie-style pot of beans was not exactly a common thing. I remember wondering how in the world I’d managed to meet a boy whose mom made a pot of beans so much like my Grandma’s (except she used ham hocks and my Grandma used bacon). And more so, I’d managed to meet a boy to whom a simple pot of beans also held a part of his heart and childhood memories. Later , while we were living in Alabama during our military days, my husband invited a single soldier who was actually a National Guardsman that he trained with often, to have dinner with us. He’d been hearing my husband talk about beans and was very curious. He was a physicist in his regular life and from San Diego. He asked what the heck was this “Beans and Hogs” my husband was so fond of, so my husband invited him home for dinner. My husband calls our beans “Beans and Hocks” because that’s how he ate them growing up. And though I actually use bacon in mine like Grandma did, we still laugh about this delightfully silly, but apt mistake our guest made. 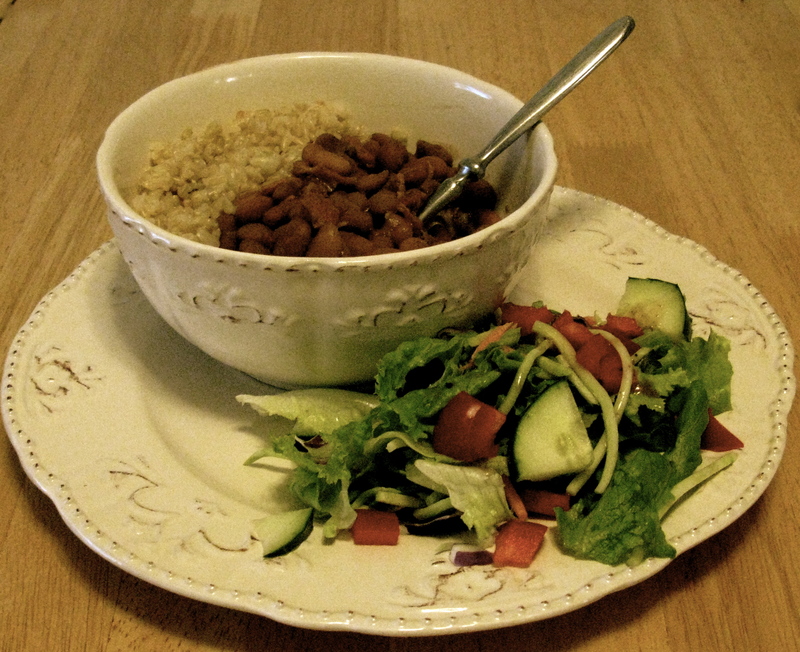 When one of my readers asked me the other day whether I really do like Rice and Beans, I figured it was time to put on a big ol’ pot of beans to share with you all. I like mine with rice. My husband prefers his with a side of fried potatoes. I can’t really say it’s the healthiest of dishes ever because it does involve plenty of bacon (and yes, the grease!) but it’s a household staple for us. And it’s most certainly budget friendly. So pull up your chair and have yourself a bowl of beans. This does take about 3-4 hours so it’s good if you are home on an afternoon or the weekend. 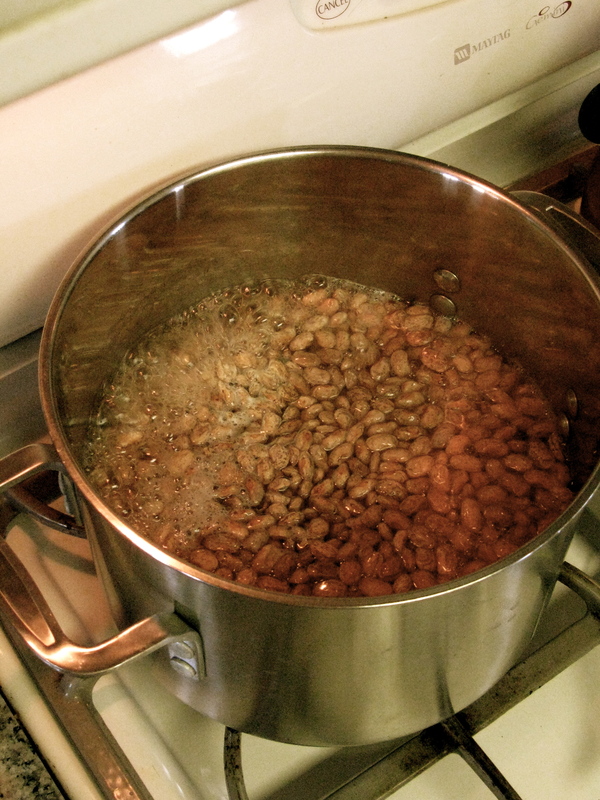 2 lbs of dry pinto beans well rinsed in a large stockpot. Cover with 6-8 cups of water. Soak overnight. I often forget to soak over night so I use a quick soak method. Skip this step if you soaked overnight. Heat over high heat and bring to a boil. Boil for 2 minutes. Turn off heat and allow to sit for one hour. 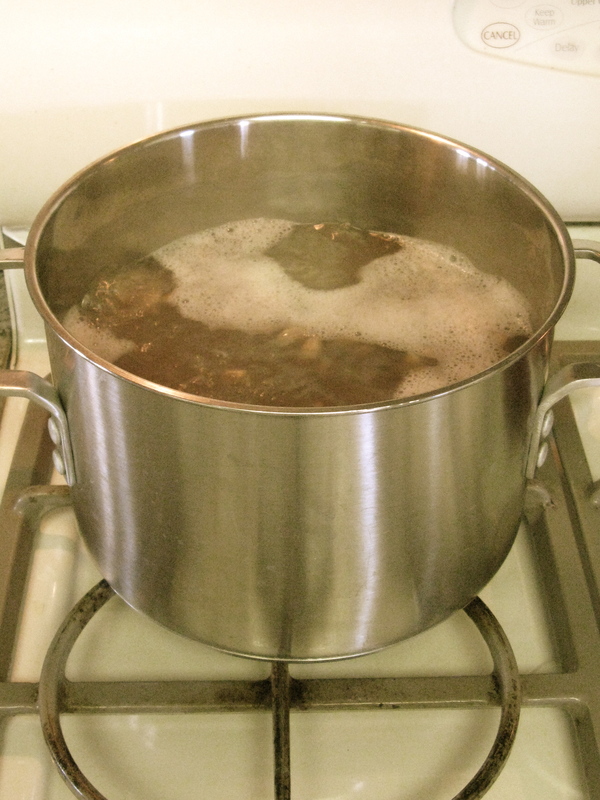 Add 6-8 cups of fresh water and, over high heat bring to a boil again. 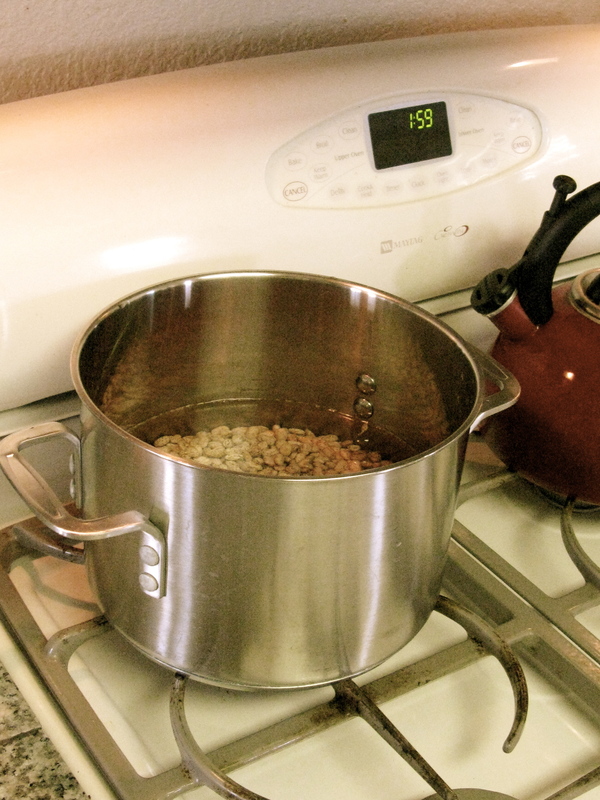 Once the beans are boiling, turn down your heat so they are at a good simmer. Simmer beans for about 3 hours. Stir occasionally. 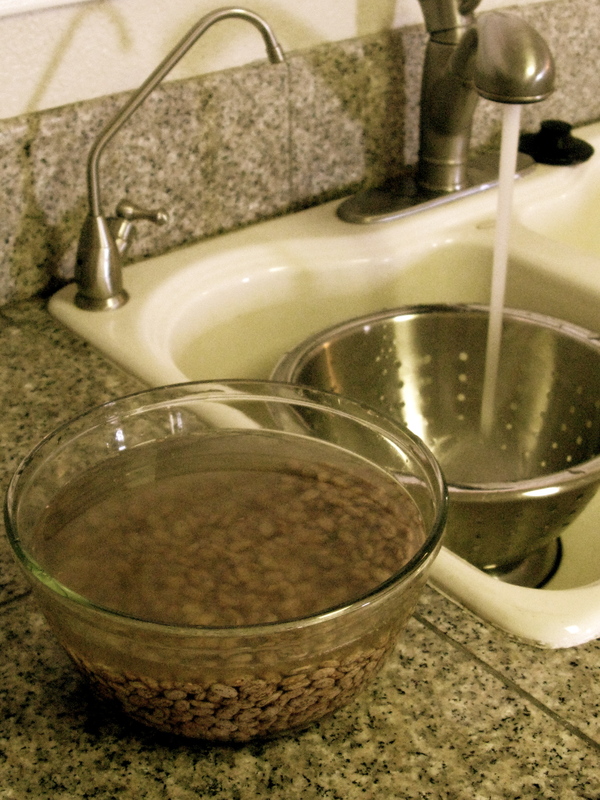 Add more water as needed (you want to keep water at least an inch or two over the beans). About half an hour before your beans are done (or after at least 2 hours of simmering) cut up and fry about 1/2 lb of bacon (or to your personal taste). 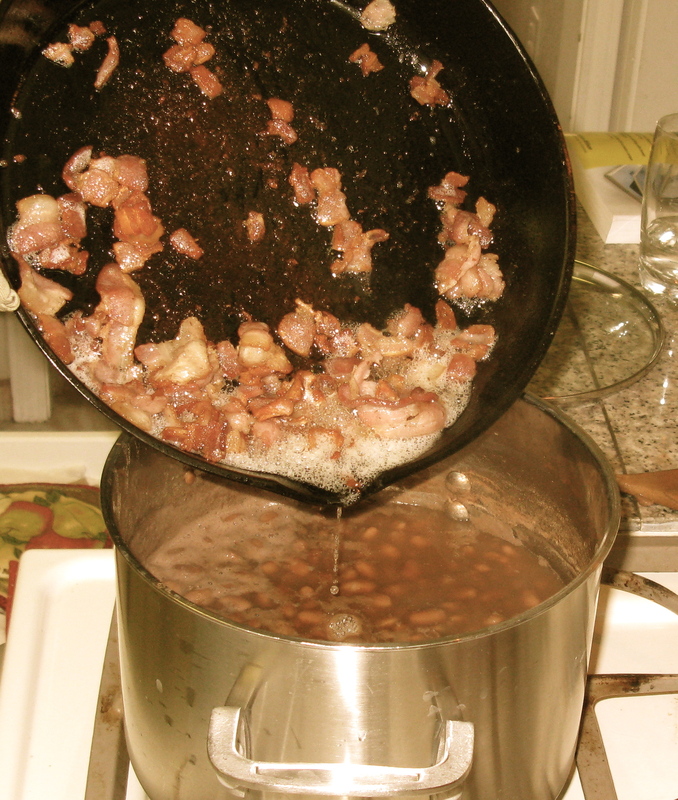 Add bacon and drippings to the pot of beans. Stir in 1 to 2 teaspoons of salt (again, to taste). 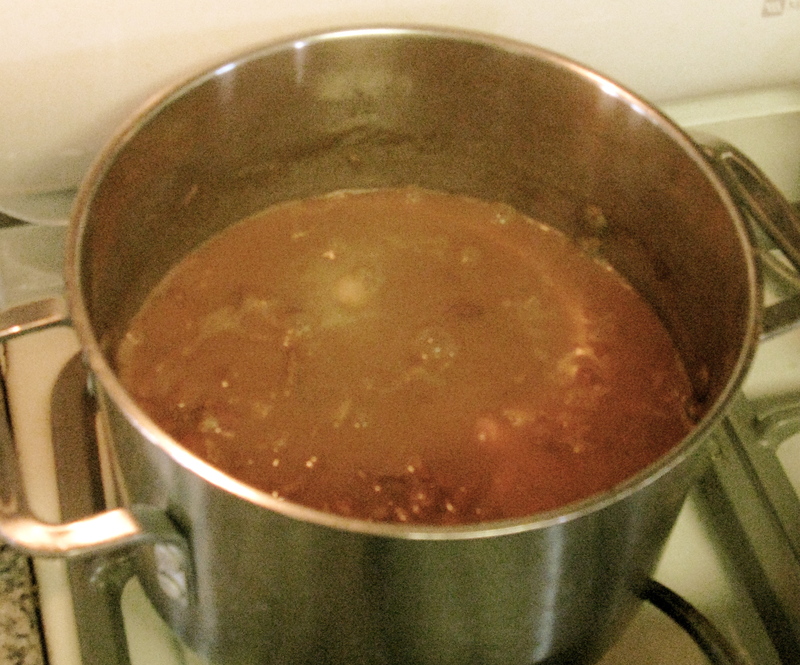 Continue to simmer a little longer (approximately 3o minutes). Serve over rice (I like to keep it healthier with brown rice) or plain, with a side of fried potatoes (for those who aren’t concerned with grease intake! ), or with a side of a salad or however you please. Some people like theirs with a side of collard greens. 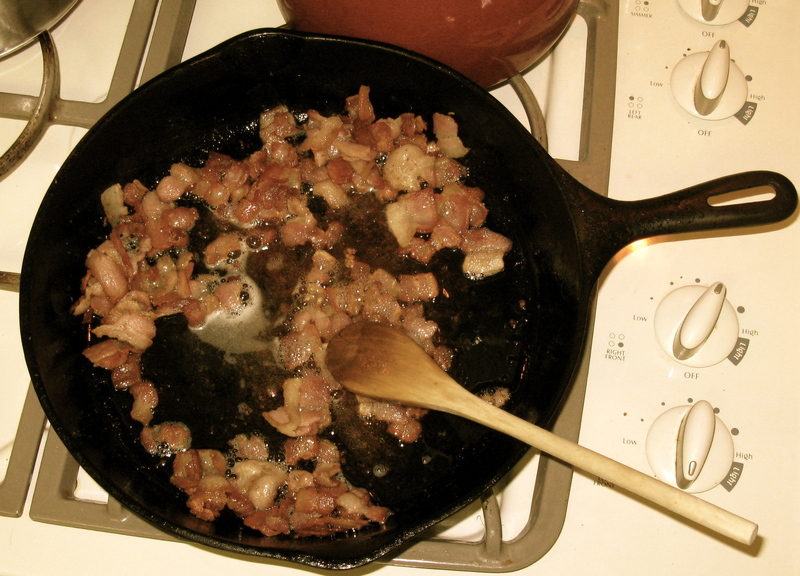 Add bacon and drippings to your beans and continue to cook at least 30 minutes. 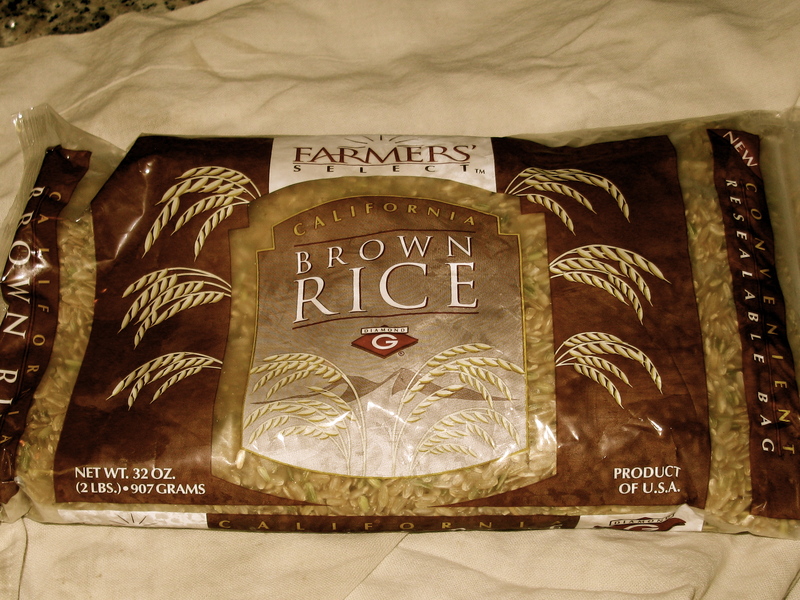 Make your rice-if you like rice with your beans like I do. Beans just about ready to go! This post brought major tears to my eyes. See, how you described your Grandma was EXACTLY how my Grandma was too! She was everyone’s friend & as your’s did, mine too would share what she could with the world, even though she didn’t have much. She had her signature dishes too, “Beans & Bacon” were one of them. Matter of fact I have her recipe too. She adds a bit of brown sugar to sweeten them up a bit (she had a bit of a sweet tooth). Grasshopper Pie was another one, which is STILL a favorite of mine too! I think these women were from the same generation as they took people at face value & initially trusted. They weren’t clouded by today’s society’s stereotypes that tend to make us a bit reserved when we meet people. A simplier life they lived, much like we’re trying to do now. It’s nice to know that we’re trying to go back to our “grass roots,” and honor them, ya know? The reason this post was so poignant is that I lost my Grandma this past Christmas Eve. She was 98 at the time of her death & much like your Grandma, mine MAJORLY doted on us grandkids (I was one of 20 grandkids, known as “Princess” & we lost count of great, and great-great grandkids). She was the matriarch of our family; the glue that sticks us altogether, which has now fallen onto my shoulders & holds sacred in my life (family is everything)! Reading your post brought me back to walking into her house & hearing/smelling the bacon frying in the cast iron skillet on the stove, the sweet beans simmering in a cast iron pot on the stove & of course the hint of corn bread baking in the oven. Although I’m crying, I’m also smiling! Deanna aren’t Grandma’s wonderful? I bet out grandma’s could have been friends! Sounds like they were both two special lights in this world. I’m sorry for your loss. I miss my Grandma all the time. I tell you what though-make a pot of beans in honor of her when you miss her. That’s exactly what I do and it helps every time. It makes me feel like she’s right there with me in my kitchen. Thank you Tara for the memories of Mom. I just took some beans from my freezer that I had cooked a few weeks ago and had them for dinner. Of course, with a piece of bread. She always had to have a piece of bread with practically everything she ate. I surely do miss her.